Fanguy Bros. Wholesale is a third generation, family-owned company. In business since 1947, we have operated in South Louisiana for over 60 years. 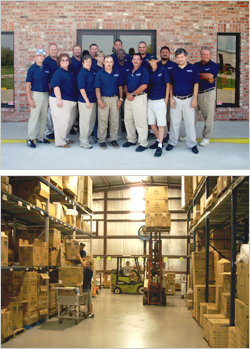 In 2007 we expanded with a new facility to better service our customers, and we invite all to visit! Fanguy Bros. Wholesale has a knowledgeable sales staff with over 133 years combined experience, which aide in servicing our area with all their janitorial, paper, foodservice, industrial, and C-store needs. We pride ourselves in providing service and products at a competitive price, while still maintaining the personal touch of a locally owned company. At Fanguy Bros. Wholesale, we continually work to expand our product mix by introducing new innovative merchandise to the market. While continually providing products that meet our customers’ needs in quality, value, performance, and delivery, we encourage you to check out our online catalog.